Our client is one of the largest power generation companies in NZ with 100% of their generation coming from renewable sources. With 14 power stations located in the North Island, they are considered the top of class when it comes to renewable energy engineering and are frequently listed as one the best places to work in NZ in annual lists. They now have a rare opportunity to join them at a senior management level and really contribute to their already outstanding performance year on year. This role is described by the executive team as the CEO of the station”, in charge of a $500-700m asset & responsible for the performance and value creation of a geothermal power station and site including both short term profitability as well as long term sustainable value growth. Keys to this role will be an all-encompassing focus on enterprise leadership, outstanding interface coordination ability with all relevant stakeholders and a strong commercial acumen. 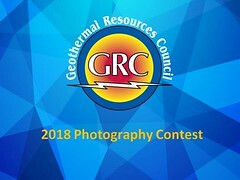 Success in this role will be judged on the person’s ability to manage the geothermal power station and associated steam field according to client requirements, ensuring plant expenditure is within approved budgets, and is conducted in respect of appropriate / technical, quality, safety and environmental policies and procedures.